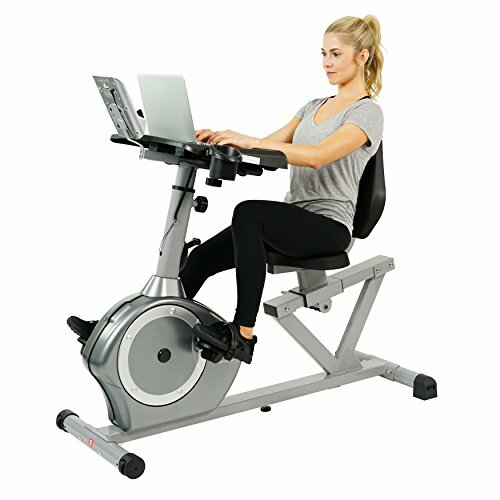 Make the most out of your day with this Workstation recumbent bike that takes multitasking to a whole new level. Read a book, Surf the web as you get in a great low-impact cardio workout whenever you'd like with the spacious connectable desktop. There is no need to limit your cycling to "before or after work" when you can do both comfortably with the Sunny Health & Fitness SF-RBD4703 convertible works recumbent bike.